There are so many virtual assistant services jobs to offer in your VA business. This career can be an excellent way to make a reliable income and have the luxury of working from home. In addition, often, the time when you must do your tasks is flexible, as long as you get the task done by a certain day or hour. You could work at midnight or at nine a.m., depending on your schedule. If you think virtual assistants are limited to typing documents and answering emails, think again. A wide variety of people are using virtual assistants from bloggers to medical professionals to business entrepreneurs, to real estate agents. As a result, there are many, many different tasks a virtual assistant can do. 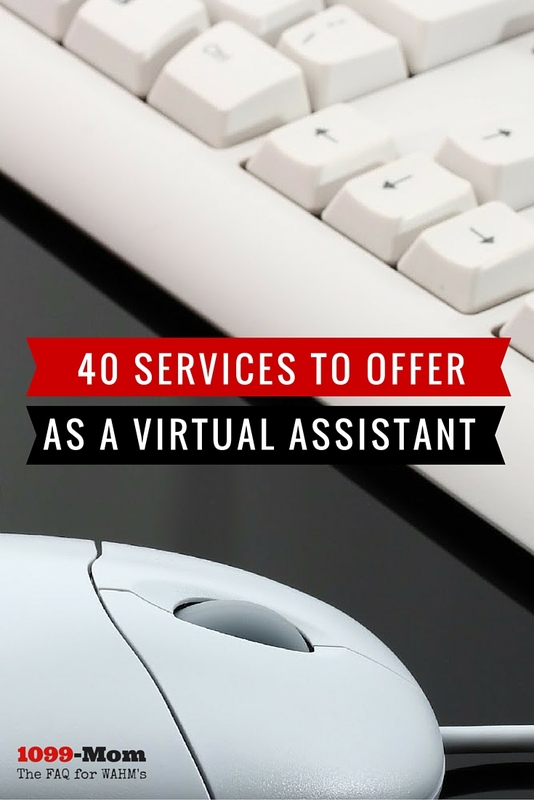 We’ve put together a list of the 40 most common virtual assistant services jobs to search for and offer! As a VA, you can book a client’s trip including making airplane reservations, having a taxi or rental car waiting, booking the hotel, etc. A personal assistant doesn’t have to be local. You could help your client buy gifts for his child’s birthday thanks to the convenience of sites like Amazon. 3. Book appointments with clients. A busy professional can choose to have a VA schedule all of his appointments with clients throughout the day. Likewise, you can maintain your client’s calendar and remind her of events coming up such as an important lunch meeting or a book deadline. There are many ways a VA may interact with clients including responding to e-mail, answering questions and complaints on social media, and answering phone calls. 6. Supervise other writers and virtual assistants. If someone employees multiple virtual assistants, you may offer your services to supervise them and delegate tasks, if you have experience doing so. In addition, you could manage the writers for a blog owner, approving topics and making sure articles are submitted on time. Pat Flynn of Smart, Passive Income confessed to his readers that he was so behind in responding to emails he hired a virtual assistant to weed through the mess and set up a workable email system for him. Also, VAs can weed out the extraneous emails (from spammers, etc. ), so the professional can focus on the important ones. VA's can enter data in Word or Excel. You can organize online files, create Power Point presentations, or any number of other tasks the client might need to manage the data she has. If you have experience with bookkeeping, many people will gladly pay to avoid doing this task themselves. You’ll likely perform bookkeeping tasks weekly or monthly. Ironically, many professionals are so busy, they don’t have time to invoice clients. You can offer this service. There are small, but important social tasks that take up time like writing thank you's, mailing out swag, or connecting on a more personal level. Writers and business professionals need research completed online to help them write their assignments. What products are performing particularly well in your client’s market? What areas might your client want to expand? Your research can help provide the answers. If you have any HR experience, you could help screen prospective clients that your employer may be hiring. Many businesses and bloggers send out newsletters regularly. You could create these for the client. A blog is often an extension of a business. If you have experience, you could manage the blog including securing writers, scheduling blog posts, and responding to comments. 18. Create an editorial calendar for a blog. Managing the content of a blog and deciding what should be published when is something a VA could do. 19. Reach out to other companies. You could contact other companies on behalf of your client such as finding products for a blogger to use for reviews and giveaways. These are a very high demand category of virtual assistant services jobs. You don’t have to be in the office physically to take phone calls for your client. They can be routed to you. 21. Research business trends in the industry. Many entrepreneurs need to keep up with business trends but are too busy to do so. That is where you come in. Launching a product is a big business. Whether you’re helping a blogger launch a product or a corporation, you’re expertise on a product launch will be valuable. 23. Arrange initial meetings with contacts. You may be asked to find, and arrange the initial meeting with, potential clients for the entrepreneur to contact and work with. 24. Market the client’s business. You can help market a business through Facebook and Craigslist advertisements. Sites like HARO regularly seek experts for interviews. Your client may ask you to help her find gigs where she can serve as an expert and be interviewed, giving her business great exposure. If your client is a freelancer, he may ask you to filter perspective jobs that he might want to apply for. This can include everything from designing media kits, to logos, to the pages of your website or blog. Someone with a solid background in this niche can help ensure your site is always running smoothly. If you’re working for a writer, she may ask you to transcribe her interview with an expert source. Podcasters often need transcription work, too. Many podcasts are scripted. A good VA can create the script for a podcast. 31. Audio edit a podcast. People say “um” more than you might think. Your job would be to remove those and make sure that the audio throughout the podcast is distraction free and runs smoothly. This could be an entire category in itself. You can help your client share his brand through Google+, Facebook, Pinterest, Instagram, or LinkedIn. Pinterest can drive traffic to a site in droves, IF a captivating picture is used. You could prepare your client’s pictures for Pinterest complete with a compelling caption. You could train others at the company to use software, etc. 35. Optimize Google Ad Word campaigns. For some, Google Ad Words can generate serious money. You’ll help your client chose the right words to maximize Ad Words dollars. You can submit press releases to press release websites. Many VA's have experience with their own freelance writing careers. This is a marketable skill that you can put to work for others! Making sure the client's work is top-notch is a valuable skill! Bloggers especially may need someone to screen potential guest posts and look for things like discrepancies and errors as well as checking the background of the guest author. The virtual assistant world is wide open. With so many possible virtual assistant services jobs out there, it may be hard to choose just a handful to start with. There are as many tasks available as there are those who have business needs that must be met. 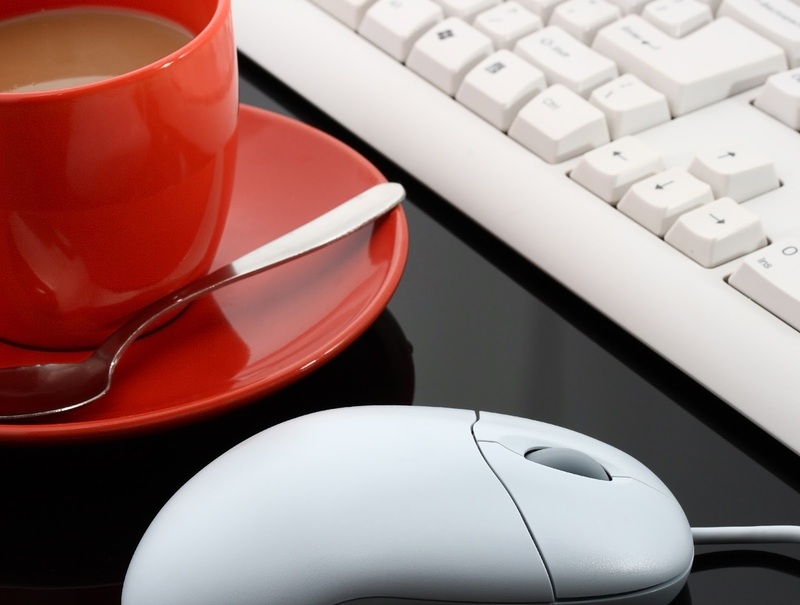 If you’re a VA, what Virtual assistant services jobs do you offer?